Very easy to make. Use a used wire spool, cut 2 wings off, make a leg support from galvanized pipe, 2 coats of urethane and BINGO! 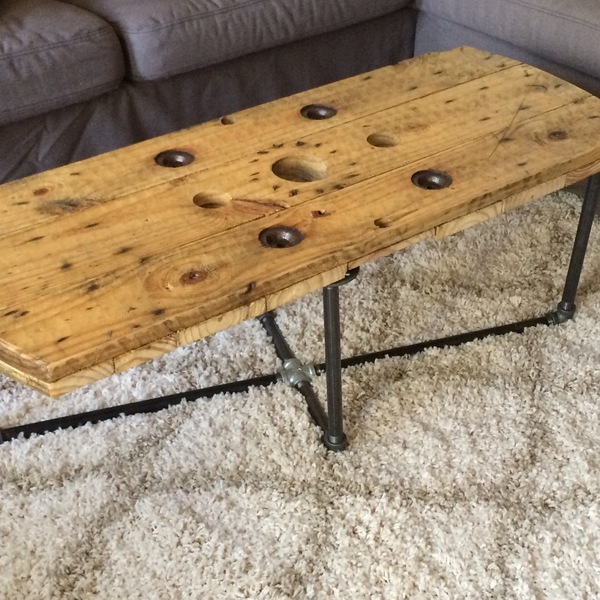 You just made a cool coffee table. A PINE WIRE SPOOL. QUICK DRY POLYURETHANE. 1/2" GALVANIZED PIPE AND CONNECTORS.